One of NFU Scotland’s highest accolades has this year been awarded to a stalwart who has worked as a group secretary for 24 years on Islay. 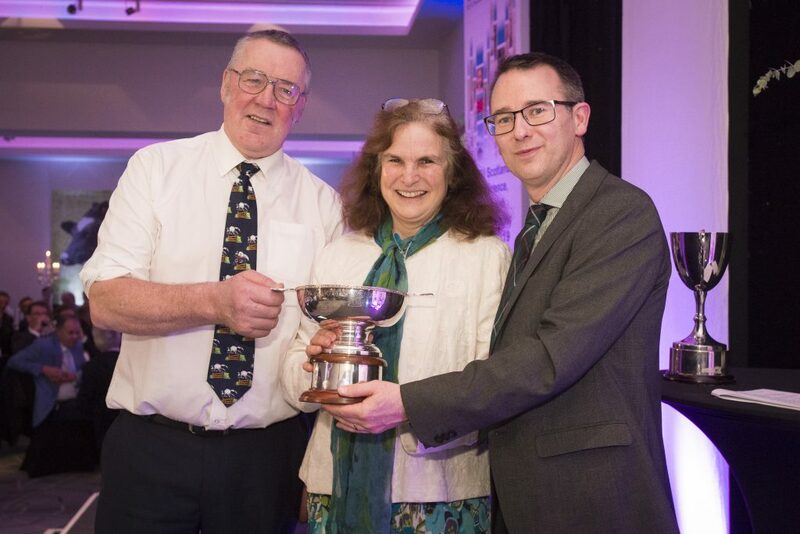 Gill Johnstone has been the local group secretary since March 1995 and is this year’s worthy winner of the coveted Miskelly Award. Over the years, Gill built up a fantastic relationship with local farmers, integrating herself into the community and building a real understanding of the issues affecting those she represented. Gill retired from her role on December 31, 2018, with Garry McLean taking over the local office. However, her involvement in the union will continue as she was elected as branch chairman for Islay at the local AGM in January. The Miskelly Award was established in memory of John Miskelly, an inspirational figure who served as a regional manager with the union and was presented by John’s family following his death in 2006. 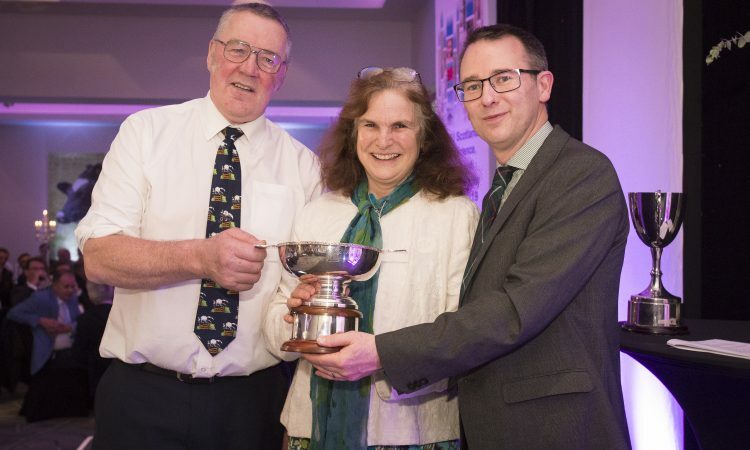 Now in its 13th year, the trophy recognises those who have shown outstanding dedication and commitment to NFU Scotland and Scottish farming and crofting. Previous winners include Michael Coutts, David Smith, Jo Durno, Bert Leitch, Henry Murdoch, Colin Manson, George Murray, Liz Murdoch, Elaine Robertson, Lachlan MacLean, Jake Sayles and Sandy Murray. Andrew McCornick, president of NFU Scotland, said: “Gill’s dedication and enthusiasm for her role as group secretary is a real inspiration for the agricultural industry. Gill went above and beyond as group secretary and fought many battles for local members on a host of issues. I’m delighted that she will still be involved in representing local members as branch chair. Islay farmer Robert Epps, who represents the region on the union’s Environment and Land Use committee, has worked with Gill for many years. He said: “I send my warmest congratulations to Gill for winning the Miskelly Award – if there was another award for championing lost causes, she would certainly win that as well. Over the 24 years, I’ve worked to overcome many farming issues with Gill and she certainly demonstrates how to overcome adversity. Martin Malone, NFU Mutual regional manager for Scotland and Northern Ireland commented: “I think I speak for all at NFU Mutual when I say a big thank you to Gill for her work supporting farmers in her 24 years with us. “Gill has greatly expanded the agency in Islay, one of Scotland’s iconic islands, famed for its links to the region’s great food and drink sector.